#EchoShowcase…the highest expression of  training (dressage) located in Jupiter Farms! 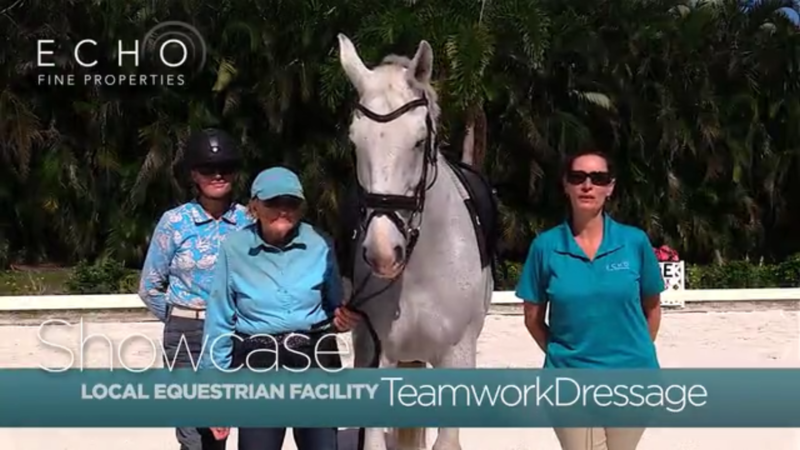 Agent Wendy Young-swanson introduces us to TeamworkDressage in Jupiter Farms…a full service Dressage Training Facility…home to dedicated dressage trainers Jules and Libby Anderson with over twenty years of proven results…providing a caring & learning environment for both the  and the rider! Share this post with your friends and family who just absolutely love   ! Posted in Echo Fine Properties, Jeff's Team, Jupiter, Jupiter Farms, Jupiter Farms homes, Local Business, Palm Beach, Palm Beach County homes, Palm Beach County real estate on November 23, 2017 at 4:32 am.